Michael LeBouef once said, ‘A satisfied customer is the best business strategy of all.’ – and it’s very hard to disagree with his statement. High levels of customer satisfaction tend to correlate with a number of healthy business metrics – reduced churn, increased lifetime value and more referrals are just a few. Couple that with the almost unanimous evidence that customer retention is cheaper than acquisition, and we can see that satisfaction levels are indeed highly significant to the overall health of your business. The trick is being able to gauge how happy your customers really are – so you can intervene and fix problems as they arise. The problem? According to Ruby Newell-Legner’s ‘Understanding Customers,’ most businesses will hear from a pitiful 4% of dissatisfied customers. In other words, somewhere around 96 out of every 100 will just stop doing business with you, and you might never find out why. How frustrating is that? When customers DO take the time to let you know they’re unhappy, they’re giving you an incredibly valuable opportunity to fix things and win them back. Indeed, experts reckon that 7 out of 10 customers will do business with you again if you satisfactorily resolve their complaint. So the equation here is fairly simple. The more customers who tell you how satisfied they really are, the more likely you are to be able to hang onto the ones who aren’t so happy. The logical first step towards improving customer satisfaction is to start sufficiently measuring it. So are you going to hold focus groups? Run surveys? 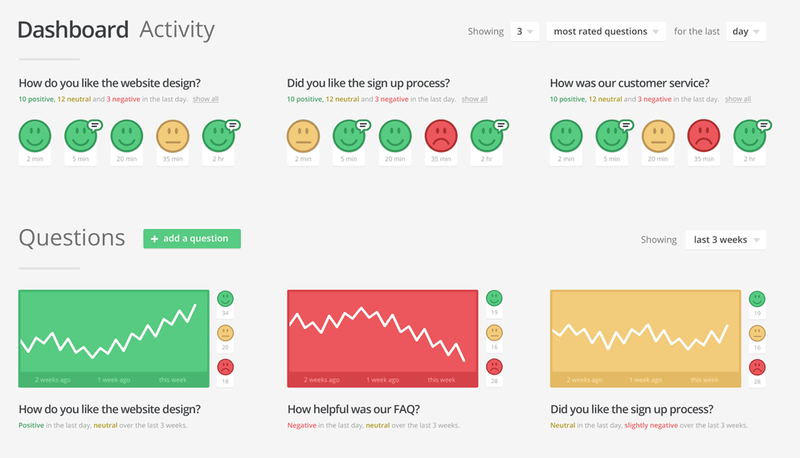 Manually speak to your customers and get their detailed thoughts on how satisfied they are with what you’re doing? They’re all valid ideas but they’re also extremely time-consuming. Automated email workflows, on the other hand, are a great way to reach a large number of people in an efficient and unobtrusive way. For the uninitiated, workflows are simply series’ of automated emails that are triggered by a person’s behaviour or profile information. They harness the power of user intent and data insight to deliver timely, relevant and personalised messaging to your users. Measuring satisfaction is something that a lot of e-commerce companies are already doing really well. 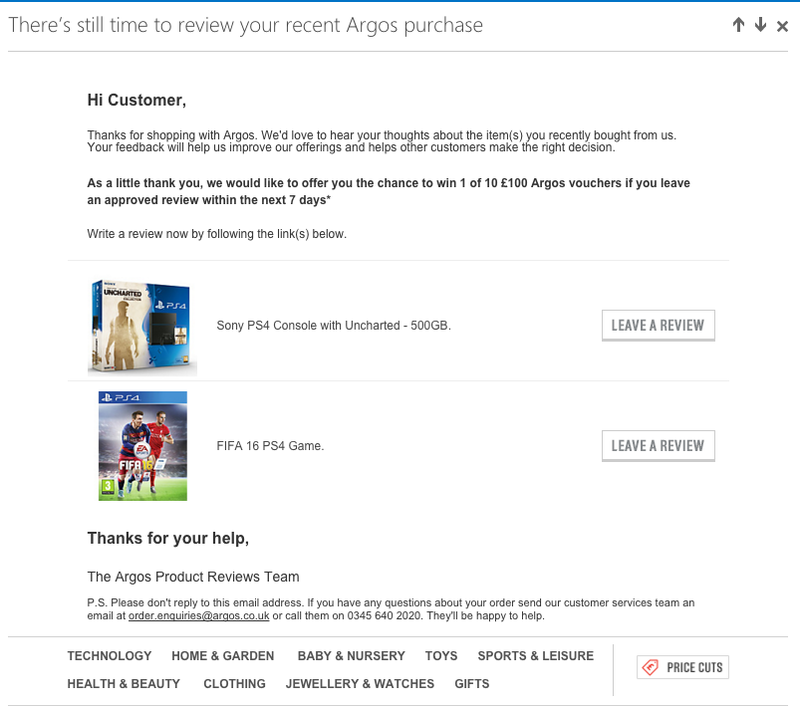 You’ll often find that, having bought a product from an online retailer, you may receive a request to review that product. This approach is impactful for retailers for two reasons. One is that it allows them to gauge customer satisfaction across various product lines and take corrective action where necessary. 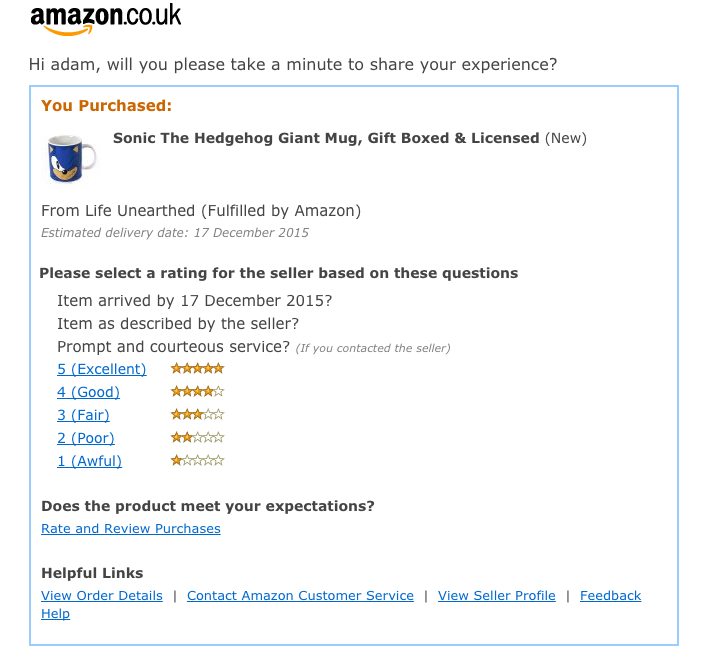 The other is that it encourages user-generated content in the form of customer reviews. These are invariably one of the most potent trust-building tools available to retailers and a key driver of purchase decisions for subsequent customers. Indeed, it’s been reported that 88% of consumers trust online reviews as much as personal recommendations from a friend or family member. Measuring customer satisfaction doesn’t need to be particularly complicated or difficult – for you or your customers. An increasingly popular model (as demonstrated below) is for companies to simply reach out to their customers with a traffic light or smiley face system that requires just a single click. This series can be sent out as a one-off or at various points during your relationship with a customer. 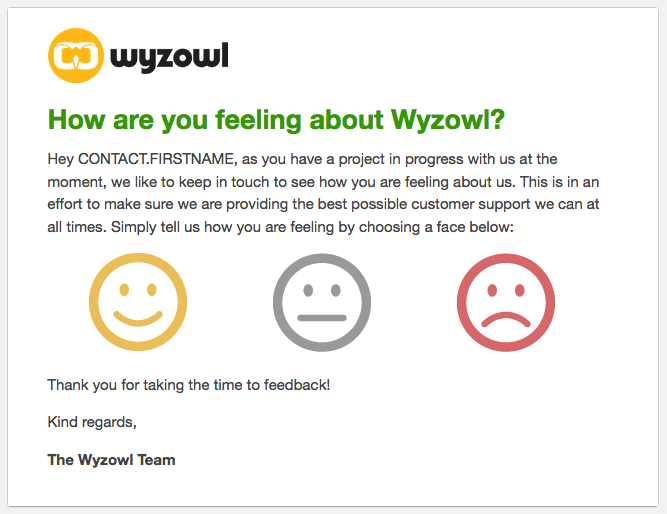 If a customer clicks the ‘Happy’ face, great! If they’re ‘Neutral,’ you might want to reach out and get more information. If they’re ‘Sad’ then you’ll definitely want to take action. Nobody enjoys dealing with unhappy customers, but the last thing you want to do is bury your head in the sand and pretend that their issues don’t exist – that’s the easiest way to lose their business. So just imagine how much easier it is for your customers to click a single link in an email, than it is for them to write a complaint or go through the hassle of calling you. 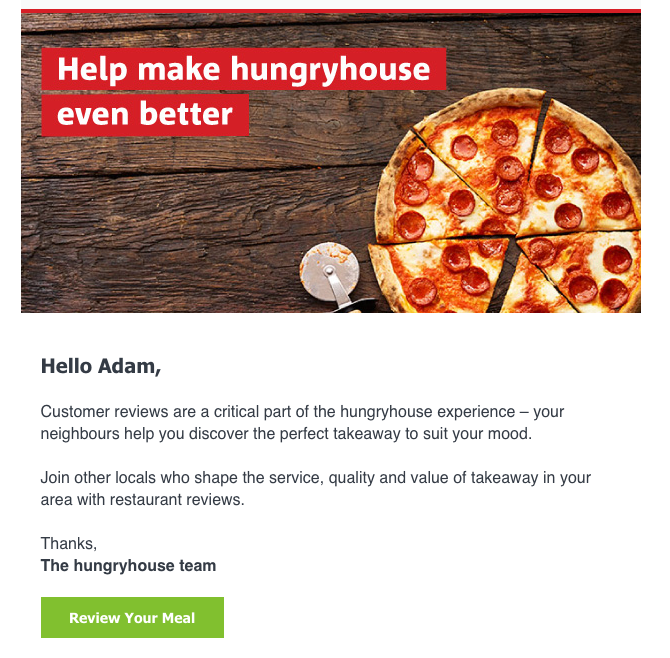 It stands to reason that many more customers would be willing to provide feedback in this easy, instantaneous way than through complaining via a traditional medium. You then have the knowledge and tools to pursue the matter, so you can resolve the issue and keep the customer on board. The steps above give you the power to deal with issues on a case-to-case basis, but how do you measure ongoing changes in customer satisfaction? Temper is a piece of software that logs and aggregates this information over time. Using simple graphs, you’ll be able to monitor trends in how customers opinion of your service offering is changing. All you need to do is drop in a tiny bit of code on your site or in emails where you want the question to appear, and the data will be automatically compiled onto your dashboard. Managing customer satisfaction is a three step process – measuring, understanding, improving. Without the first two steps, you’re simply resorting to guess work which is never a good idea. Automated email workflows give you the tools you need to quickly, efficiently and easily gather really insightful, real-time updates regarding how your customers feel about your products and services. It’s then up to you to resolve the issues they’re facing. Setting up customer feedback workflows in Instiller is incredibly easy, and can be done using our simple drag-and-drop editor. Check out our Complete Guide to Email Marketing Automation for more hints and tips.